Niccolo Paganini, who is considered the greatest violin virtuoso of all time, was probably one of the most erratic figures of all time. Through his numerous performances all over Europe, he enthralled and inspired every audience, including musicians of his era. Listen to Joshua Bell and Sharon Isbin perform Paganini's Cantabile at the White House Evening of Classical Music on 4 November 2009. Franz Schubert was mystified by him, Rossini was appalled by him, and Meyerbeer followed him from one concert to another not being able to get enough of his playing. 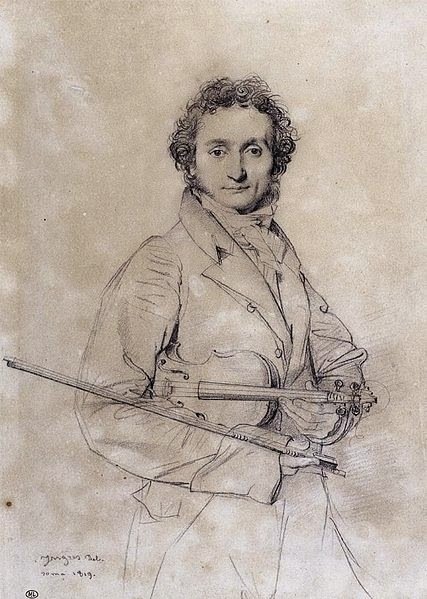 Berlioz has described Paganini as "one of those artists of whom it must be said: 'They are because they are and not because others were before them'." 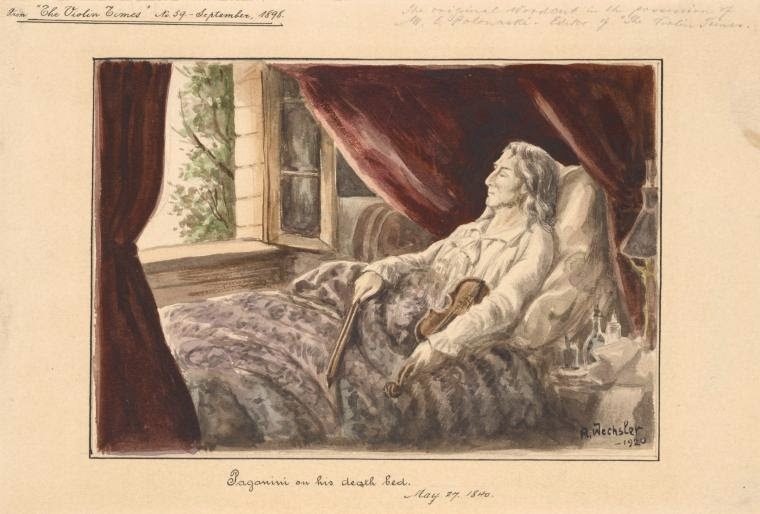 In Paris, Liszt came under Paganini's spell and was so stimulated by his fabulous technical virtuosity, determined to accomplish similar miracles with the piano, and pushed his technique to the highest limits. Paganini was considered a genius, a god, a devil worshiper, anything but that of reality. There was a rumor, for instance, that when Niccolo was only six, his mother made a pact with the Devil and is said to have traded his soul for a career as the greatest violinist in the world. Paganini was a legend. In fact, he was so amazing no audience could succumb to any type of disturbance during the trance he created through his musical renditions. After borrowing a Guarnerius violin for a single concert, the lender begged him to keep it for fear of coming under Paganini's supernatural powers. He also won a Stradivarius violin in a similar manner by playing a technical piece by sight which was insisted that nobody could perform even after preparation. Besides his superb technical ability, his cadaverous appearance led to myths of all sorts. He was tall and thin, had a long nose, a pale and long-drawn face with hollow cheeks, thin lips that seemed to curl into a sardonic smile, and piercing eyes like flaming coals. The rumor was spread that he was the son of the Devil. It was difficult to think much otherwise as Paganini dressed in black, played weaving and flailing, with skinny fingers cavorting over the strings, and contorted shoulders giving him the appearance of a giant flapping bat. Paganini's every movement and every tone emanating from his violin seemed to support the 300-year-old myth that the violin was the "Devil's consort" and that the violinist himself was the Devil. Some people, when in his presence, would actually make the sign of the cross to rid themselves of what they believed were his evil powers. He was once forced to publish letters from his mother to prove he had human parents. Whenever and wherever he played, he aroused tenor and awe in his audiences. There was the rumor that a satanic figure, a double of Paganini, always appeared in the audience in sombre black with the same long black locks, burning eyes, and sardonic smile. Or else the figure appeared on the stage at Paganini's side dressed in a red cloak and pantaloons, with horns, hooves, and a tail to guide Paganini's bow arm through a performance. It was believed that this figure raised a thunderstorm, during a concert and conducted lightening to the free end of the bow, and at another performance he actually took possession of Paganini's body. In spite of his appearance and the suspicions, however, he was worshiped wherever he went. All parts of Europe were delighted with his music and women were spellbound at the sound of his hypnotic melodies. 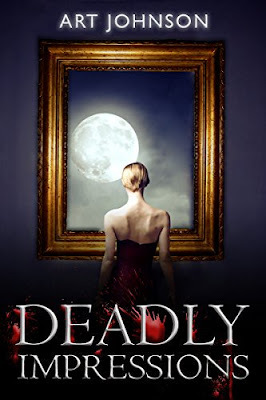 There was another rumor that he was the greatest womanizer of all time and that he killed a woman, imprisoned her soul in his violin, and used parts of her intestines as an eternal source of gut for his strings. 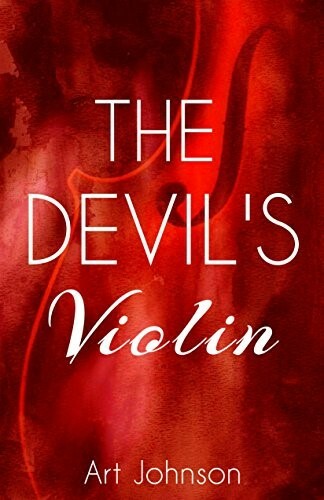 The unearthly screams of women were sometimes heard coming from his violin as he played on stage. Paganini was born of a poor family in 1782 at Genoa and showed a natural talent at a very early age. His father wanted his son to be a genius and did everything in his power to make that come true. He stood by him consistently when he practiced disciplining him severely with a rod that was seldom spared. His father was quite successful in his persistence for at the age of eight, he played a Pie yel Concerto in a Genoa church. He so enthralled the audience, that his playing became in great demand for local social gatherings. His teachers at that time were Giovanni Servetto and Giacomo Costa. When he turned nine, he made an official debut in a Genoa concert auditorium playing his own composition, La Carmagnole which is a theme and variations. By age thirteen, he was known throughout the town as the "wonderchild." He continued with his studies in Leghorn with Ferdinando Paer and in Parma with Alessandro Rolla, which began his first extended concert tour. He succeeded rapidly in the cities of Lombardy playing many of his own electrifying compositions. At the age of seventeen, he was on his own. He no longer needed financial assistance from his father and broke away assured of his talent. Freed for the first time of his father's strictness, he gave in to his two passions - women and gambling -- to which he was thenceforth to be addicted. At the turn of the century, he disappeared from the public eye. It is generally believed that he fell in love with a Guscan noble lady and lived with her at her chateau. At this time, he abandoned the violin temporarily because of his mistress' wishes and concentrated his virtuoso and creative gifts on the guitar. He also composed several pieces and chamber works for the guitar. But, after three years, he returned to his native city to study, play, and compose at full intensity. The most amazing stories were heard about his performances. The most famous is of the concert in Leghorn. When a string of his violin snapped in an intricate passage, the audience began expressing derision. But when Paganini continued to play the piece on three strings instead of four, the derision turned to wonder and awe. From then on Paganini would not hesitate to use this devise on purpose to further entrance his audience. Often he would use worn strings so that he could complete his performance on three or even two strings when they snapped. Later he got the idea to write entire pieces for a single string, such as the Fantasia on the G String. By 1813, Paganini became the greatest violinist of his day and the most worshiped. 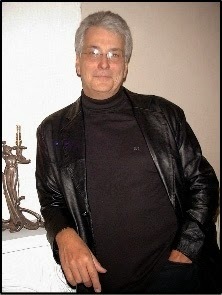 He spent the next decade and a half performing numerous concerts throughout Italy. His health, however, was turning bad which limited his touring voyages to his own country. When he finally left his country to perform in other parts of Europe, the concert halls were filled immediately and crowds rushed to see for themselves the creature that was so talked about. 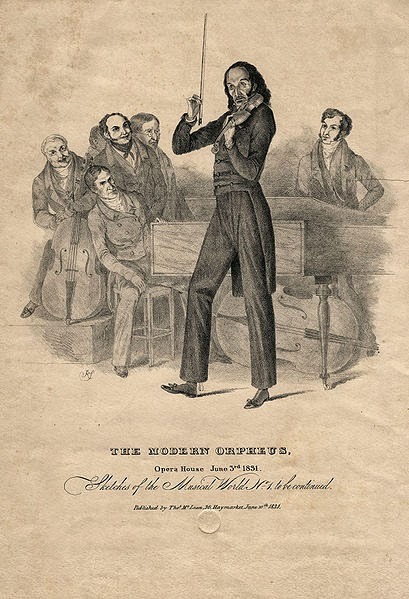 In 1828, he was in Vienna where he hypnotized his audience. Everyone was talking about him. Snacks and billiard shots were named after him. After Vienna, he traveled extensively throughout Germany and in 1831, he arrived in Paris, his ultimate goal. In Paris, there was a study made of him because his unusual appearance created an abnormal "presence" about him. Up until then there was no challenge as to the idea that he was possessed by the devil or was some sort of god himself. Through this study, however, it was found that his physical characteristics were linked to his mental abilities; the same qualities which characterize a genius. In his tour to England and Scotland, Paganini made the largest sum of money that any performing artist had earned up to that time in a single trip. He returned to Italy and purchased an estate near Parma where he made several concert appearances despite his suffering from poor health. He lost some of his fortune in a gambling house named after him, thus making him restless and weary. He started coughing and eventually lost his voice completely in 1838. He went to Nice for a rest cure - but neither rested nor was cured. He spent his last hours improvising feverishly on his violin, defying his rapidly waning strength. 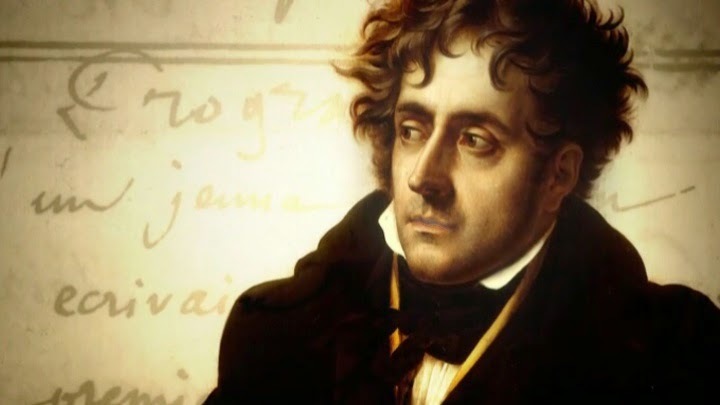 Finally, he died on May 27, 1840. For five years the Church, disturbed as to his orthodoxy, refused his body interment in consecrated ground, and so it was laid to rest in a village graveyard on his own estate. The people in nearby towns use to say that every night they heard the sounds of a ghostly violin emanating from that coffin. The legend of Paganini's life lasted until the very end. Very insightful article about the best violin player that has ever existed.